Online Counseling to help you get out of your mind and back into your life- all from *your* couch. Are you struggling with where you are in life? Are you experiencing self defeating thoughts, lack of motivation, and/or constant, racing thoughts? Are these things clouding your sense of purpose, and pushing you into this person that you don't recognize? This are all very common of people who live abroad, live in rural areas, travel frequently, or have busy schedules- which is why I have made my practice entirely online and available for you to get your life back where ever you are. 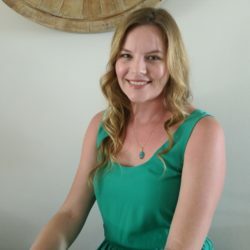 I am a licensed mental health counselor, board certified behavior analyst, certified rehabilitation counselor, and registered yoga and meditation teacher. My primary approach to therapy is Acceptance and Commitment Therapy, which involves taking a fresh and curious approach to your inner struggles and gently challenges you to find yourself and what matters to you. Many of my clients find relief in the first couple of sessions. I specialize in treating various kinds of anxiety, including OCD, social anxiety, trichillomania, and behavioral problems. I also specialize in addictions, trauma, life changes, and mood disorders, including depression and bipolar disorder. My practice is entirely online based, through video, phone, and message based services. This makes counseling much more accessible for many with busy schedules, living in isolated areas, or for those who travel frequently or live out of the country. I specialize in working with expats for this reason. I believe that therapeutic work begins with a foundation of unconditional acceptance and non judgment. Everyone is living their own life with their own struggles and many need additional support to get through tough times. My approach is client centered and solution focused. I want to hear all the details, help you discover the life you want to live, and cultivate good habits that will lead you to greater success.